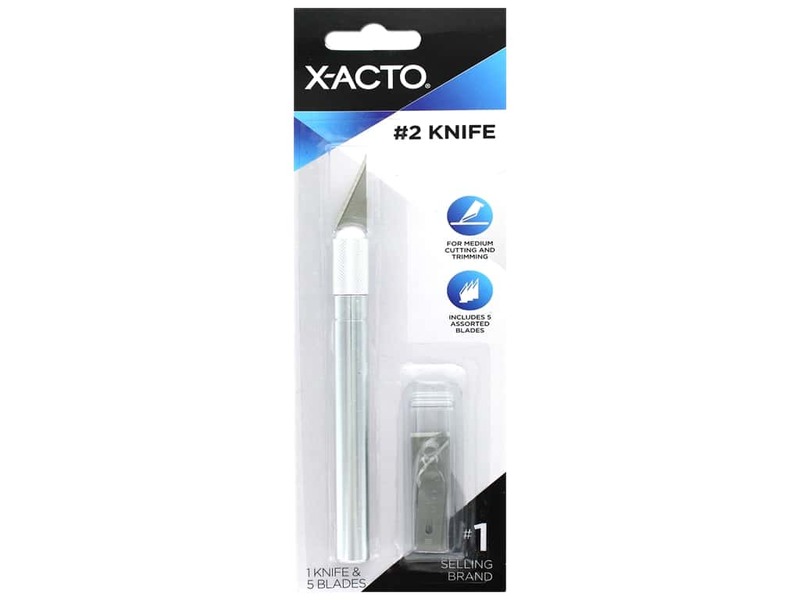 Description: X-Acto #2 Medium Weight Aluminum Knife is for making precise, accurate cuts through a variety of different craft materials. Perfect for graphics artists, crafters, hobbyists and more for making careful cuts and trims. Includes 2-#24 Deburring Blades, 1-#18 Heavyweight Wood Chiseling Blade, 1-#19 Angled Wood Chiseling Blade and 1-#22 Large Curved Carving Blade.